Despite the picture he has ocean blue eyes and the captains attire. Personality: Tenrai is a normally calm and collected person. He appreciates nature and often doesnt like those who destroys it. He likes sitting in the rain and watching it, which some think is odd. He is polite and seems extremely kind. However he can have a temper when provoked. However he seems to have some control over himself. Backround: After he died Tenrai was reborn in the Rugonkai district. He went to the shinigami academy and graduated with top marks. He was skilled at Kidou as well as Zanjutsu. He possess some talent in Hoho and he joined the 3rd Division under the Detention Force. After about 100 years in the Detention Unit and becoming more powerful, Tenrai became skilled in Hoho and later was promoted to 3rd seat of the 2nd division. It was around here he started training for Bankai. About 50 years later Tenrai has mastered his shikai and was transfered to the 6th Division. He remained in that division for another 50 years before he was transfered to the 8th division. In his stay in the 8th Division he attainted Bankai and soon became captain of the division, where he still is now. Role-play Sample: It was raining in the world of the living. Captain of the 8th Division, Tenrai Raiden was swimming in a lake when it began raining. It started off slowly...Once Tenrai felt the initial rain drop Tenrai swam to the egde of the lake and sat down looking up as the clouds began to possess the sky. For the next few minutes he looked up into the sky, just staring at the storm that was brewing. He seemed at ease looking at it. Next to him a girl materialized only for him to see. It was his zanpakuto spirit. "What is it about storms that relaxs you so much? ", she asked him before she looked up at the sky. Like him she instantly seemed at ease looking up. "Its a trait we both seem to share...I dont know if we have the same feeling, however whenever I look up at the raining sky...It just makes all my troubles go away", he said to her. She nodded in agreement. "I guess that just shows how close are bond is", she said smiling at him. Tenrai returned the smile. "It seems like the rain washes all the troubles of the worlds away", he said before another shinigami approached him. "Raiden-Taichou...a hollow has appeared..please hurry", she said to him. Tenrai looked at her zanpakuto spirit as she disappeared. *If only the rain truely did make it all go away*, he thought before he got up and got ready to fight the hollow. Shikai Look: Sword becomes slightly shorter, more dagger like. Shikai Ability: When released, Enrai Arashi has the ability to cloud itself in a gray cloud that constantly emitts lightning sparks which can be seen on the blade. The cloud stops by the handle and the sparks would never hurt Tenrai. When attacked by the blade an opponent can be shocked causing damage and possible paralisis if constantly attacked. Because the sword has a cloud on the blade it is able to repel other lightning attacks. There are two main attacks that Tenrai can also use. He can fire a lightning shockwave from his blast, setting ablaze whatever it touches like actual lightning and when it crashes with something it makes the sound of thunder, setting the object ablaze. Another ability is to release the cloud on the blade into the field. The cloud can extend as far as 50 meters. When willed Tenrai can then release the lightning inside the cloud, shocking everything inside and injurying things near it. However the latter attack is dangerous because it can harm Tenrai. However he can manipluate the cloud to his will so it rarely does harm him. Long Red Ribbons that repel heat are attached to the ends of each dagger. Bankai Ability: Tenrai's sword transforms becoming two of the swords seen above. Each blade retains the shikai abilities as well as possess new abilities. Both swords have the ability to heat up the area around them as well as lightning as lightning rods adding on to the previous abilities. He can now repel lightning with his swords as well as attract lightning. He can now fire powerful blast of lightning from both blades. Able to use 5 in succession before a 2 post cooldown. His lightning cloud now can extend 150 meters and can attract lightning energy and store it, which is also another new ability of his blades, they can absorb lightning and store them within the blade. A dangerous ability are these blades ability to even manipluate or hold natural lightning. Unlike the picture, his spirit actually has blonde hair and a ocean blue eyes, instead of pale blue. 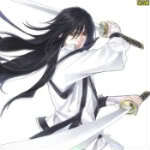 Zanpakuto Spirit Personality: Much like Tenrai, Enrai has a storm like personality. Most of the time she is extremely friendly and kind, offering Tenrai much advice as well as comfort him when he needs it. She is a loving indivisual but that can change in the blink of an eye. She can have a nasty temper that isnt as controlled as Tenrai's. Effect: Seki - Creates a round shield that seems to temporarily paralyze and repel whatever strikes it. Effect: Geki - Engulfs the target in red light, completely paralyzing them.Incantation: "Disintegrate, you black dog of Rondanini!! Look upon yourself with horror and then claw out your own throat!" Effect: Shitotsu Sansen - Forming a golden triangle with one's finger, it shoots three beams of light that pin the target to one place on a surface, slamming into his or her body in three places in a shape of an equilateral triangle. Effect: Enkosen - Summons a shield of condensed reiatsu to block opponents' attacks. Effect: Rikujōkōrō - Summons six thin, wide beams of light that slam into a target's midsection, holding them in place. The target is then unable to move any part of their body including the parts that were not struck by the beams. Incantation: "Carriage of Thunder. Bridge of a spinning wheel. With light, divide this into six!" Effect: Sajo Sabaku - Similar to Bakudō No. 4, but stronger, this spell binds the arms of a target. Effect: Danku - Creates an energy barrier in the form of a rectangular wall. 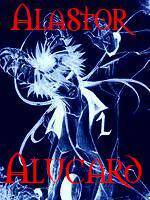 According to Byakuya, it is capable of stopping destructive spells up to #89. This is seen also when Aizen uses it to block Tessai's Hadō #88. Effect: Shō - Pushes the target away from the caster. Effect: Byakurai - The user fires a concentrated, powerful lightning bolt from their finger. Effect: Raikōhō - Fires a massive wave of yellow energy at a target. Incantation: "Sprinkled on the bones of the beast! Sharp tower, red crystal, steel ring. Move and become the wind, stop and become the calm. The sound of warring spears fills the empty castle!"